In May I went to a baby shower in Puerto Rico for my niece Ashly and yesterday she had her son. 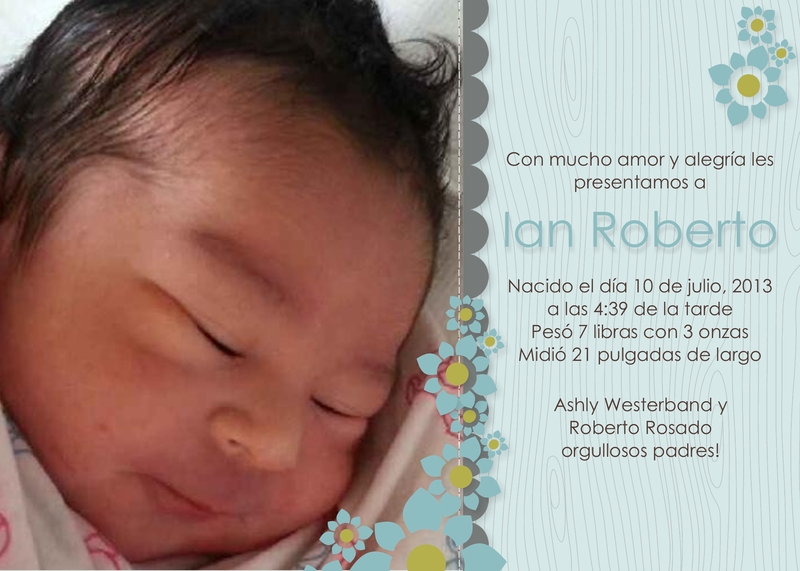 His name is Ian Roberto Rosado and he is adorable! I made this announcement for her using a template from My Digital Studio. Welcome to the family Ian! Pick a Kit, any Kit! So Cute!! Wanda, you always do such a great job! !